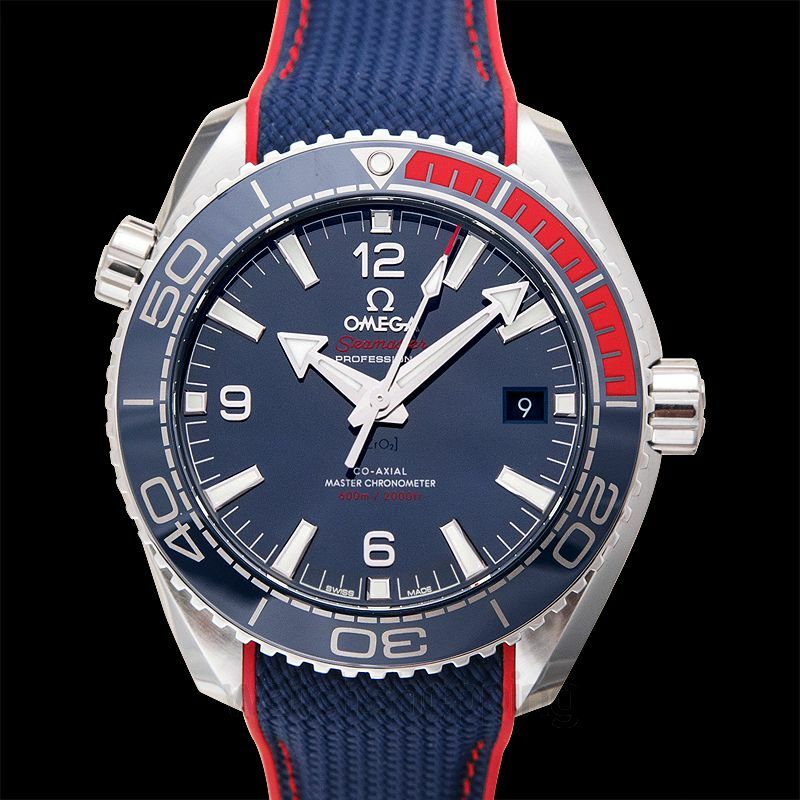 The Omega 522.32.44.21.03.001 is a Seamaster Planet ocean 600M category watch. 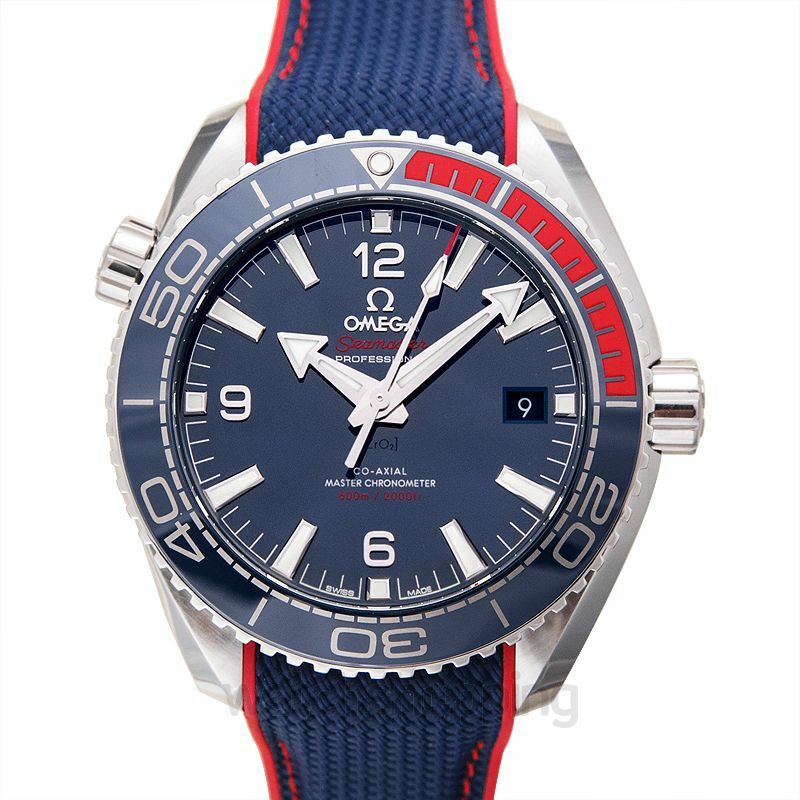 It comes with a blue dial that features Arabic numerals as index hour markers and minute hands, both in silver. 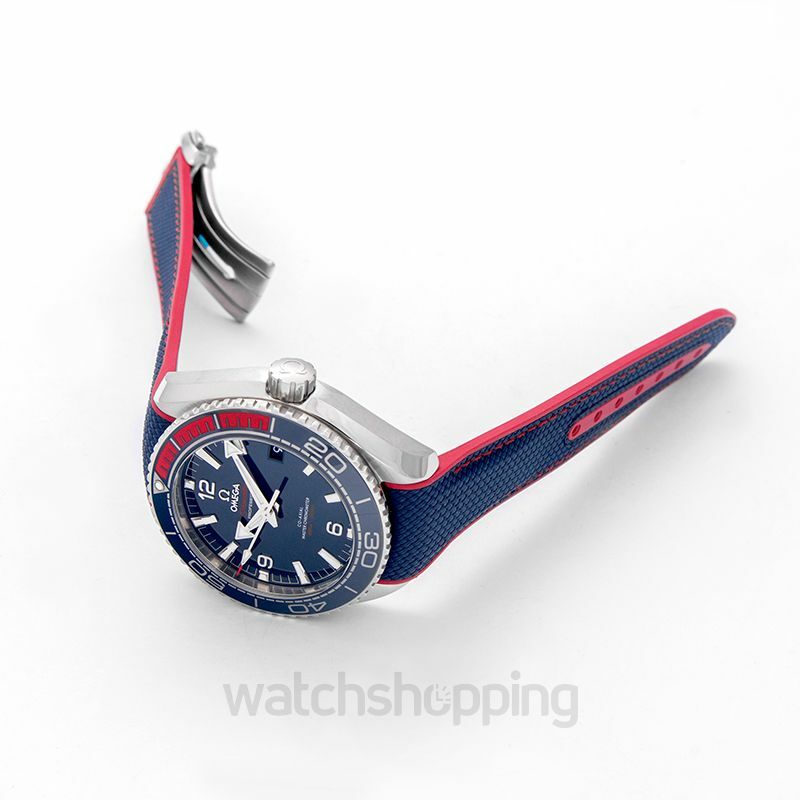 The dial also incorporates a date section placed evenly on the 3'o'clock position. 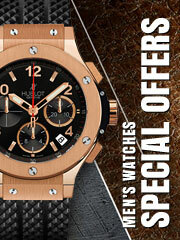 The watch is enclosed in steel that is used to guarantee durability and sleek design. The band is made out of rubber. Sapphire crystals are embedded in the watch glass to make it stay scratch and reflection free with the passing time. 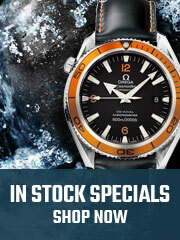 The watch promises good caliber and reserve time.